Springtime is a perfect time to start some new craft projects. Even if you’re new to arts and crafts, you’ll love the projects we’ve found for you. One thing they all have in common is ribbon! 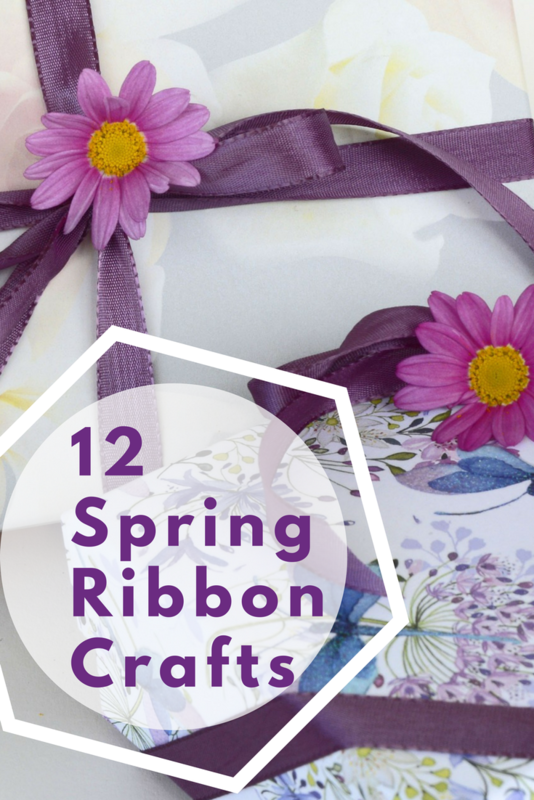 We all love using ribbons for our crafts, and here are a couple spring-inspired ideas. This colorful chandelier will bring spring into any living room. It’s also a great decoration for the garden. You’ll need a hoop and lots of ribbons, fabrics, pom pom, yarns, etc. They don’t have to be the same length, because the idea is to create a messy look with lots of different color, patterns, and lengths. Use a glue gun to make sure the strips hang firm from the hoop. Flower projects are perfect for spring, especially those with water colors. This project is a great choice for kids as well, as they usually love playing with water colors. You’ll need egg carton to cut flowers. Paint them with lovely colors and add buttons in the middle. You’ll also need green pipe cleaners and a piece of ribbon to complete the bouquet. Here’s another flower project for kids. Start off by mixing up the salt dough. Use a flower cookie cutter to make shapes and then ask your kids to press in each petal with their fingers. Use a straw to cut out a hole in each flower, so that you can hang them later. Now it’s time to bake the cookies, but before you do, add a couple of colorful beads in the middle of each flower. Once they are all done, you can paint them to get the final products. Use ribbons to create a chain of flowers, or hang them individually. This is a perfect accessory for all girls in spring. You’ll need a circle shape. Then choose a ribbon you’d like to use and wrap it around in a circle. You’ll then use lots of small ribbon pieces to tie them in knots all around the crown. Alter between knots and ribbon bows around the crown. Leave the place at the back for the longer ribbon pieces which will hang from the back. You could leave it like that, but adding flowers is a perfect way to complete the look. Here’s a great way to put an old umbrella to a good use. Use it as a pot to hold the flowers into a nice bouquet. You’ll need a piece of ribbon to hold the flowers and the umbrella together. This craft project is perfect for garden decor and it can be used as an unusually shaped door wreath. Ribbon flowers are great for many occasions, but since we generally associate flowers with spring, here’s an easy tutorial how to make flowers from ribbon. You’ll need a colorful ribbon for the flower. Any color will do, pink, yellow, red, orange, etc. You’ll also need a piece of green ribbon for the leaf. Aluminum foil box should be your base, to keep the flower sturdy, and then you’ll simply wrap the ribbon around. For this project, you’ll need colorful paper cut into strips, or another material such as ribbon, washi tape, etc. Start by drawing the spring-inspired shape, such as an Easter egg, a flower, an Easter bunny, and similar. You’ll need two papers with this shape. One to cut out for the top and one for gluing the strips. Glue the strips over the shape arranging them in any order you want. Then place the cut out shape over and glue two papers together. Spring time is a period that a lot of people associate with Easter, so here’s an idea how to make your own custom bunny gift tags. You’ll need ready made cross-stitch gift tags, ribbon, and some thread to make the bunny shape. These tags are perfect for Easter gifts or candy bags. Any time of the year is an opportunity to make a hair bow! This tutorial features a flower loopy hair bow using a couple of types of grosgrain ribbon and an artificial flower in the middle. It’s very easy to make it and you could even combine ribbon scraps that are around 6 inches long. Regardless if you want to keep freshly picked flowers or artificial ones to decorate your room, you’ll need vases. Instead of buying new ones, use your old mason jars and make some unique spring-inspired vases. You’ll need some fabric or paper to wrap around the jar and then ribbons or pom poms to decorate them. You’ll also use scissors and hot glue. Gift wrapping ideas are also an indispensable part of spring crafts. Pastel colors and flower toppers are absolutely dominant. Use wider ribbons to wrap around the gift boxes and then choose one of these three ideas for the toppers. You could go for flower topper with a couple of flowers and leaf shapes. Instead, you could make tulle puffs by cutting rectangles from organza and ribbon. Finally, there’s a classic look with a large ribbon bow as a topper. To complete this gift wrapping craft, you could make custom gift tags. As soon as it gets warm to enjoy a drink in your garden, you know it’s time for the colorful straws. 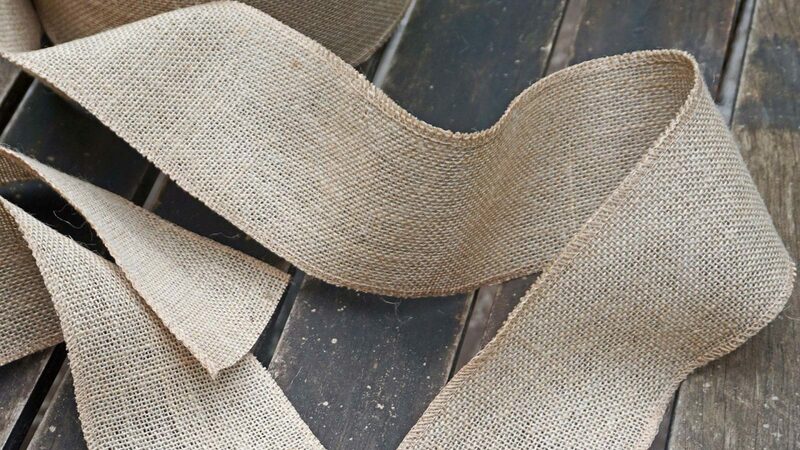 This spring you could use ribbon scraps to create these cool-looking straw toppers. It’s great for every day, but especially adorable for kids’ parties.